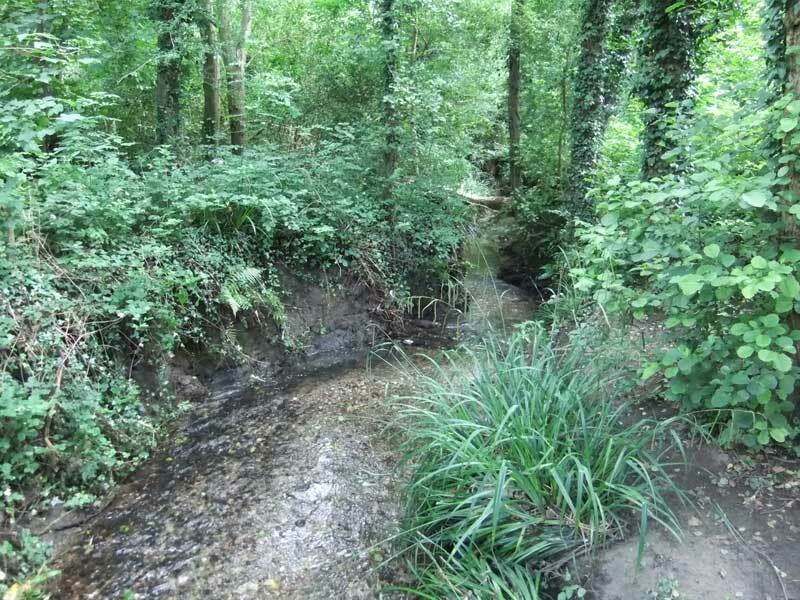 The Boundary Brook runs all the way from Headington Moor (starting near Cuckoo Lane to the north of the London Road) directly into the River Thames. 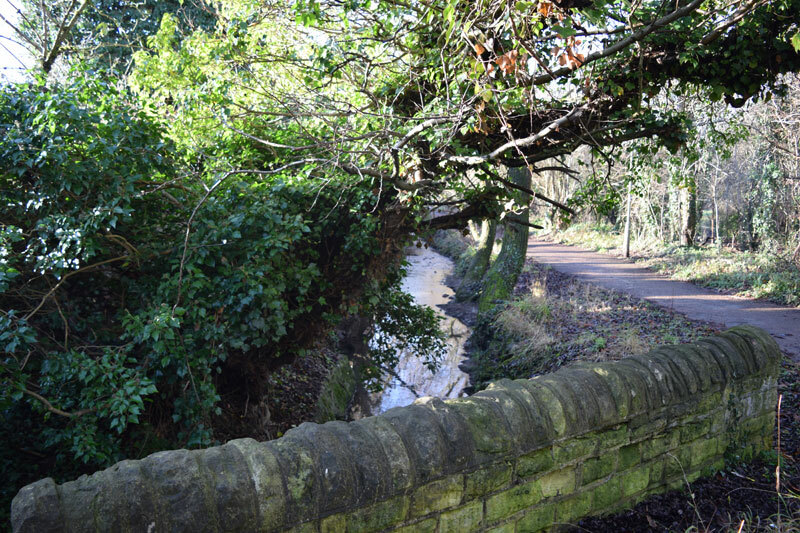 Its original name was the Moor Ditch or Moor Brook. The Local Government Act presented a water-course over all the distance, started at the river, went nearly straight to Cowley Road, crossed the Marsh to the old bridle road leading to Bullingdon Marsh ditch, thence it continued straight into the Headington Road, thus presenting a clear line of limitation without any of the difficulty of the Local Board Boundary. This was of course the Moor Ditch, which became the Parliamentary boundary of Oxford in 1868, and henceforth was interchangeably described as the Boundary Brook or Moor Ditch. The City boundary, however, remained in Headington at Pullen's Lane and in east Oxford at St Clement's until 1889, when this brook became an even more significant boundary: Oxford was extended eastwards as far as this brook, bringing parts of Headington and the Cowley and Iffley Roads into the city. Thus for forty years from 1889 to 1929 this brook marked the line where Oxford met three neighbouring villages (Headington, Cowley, and Iffley). In 1929 those villages were themselves taken into the city, and the brook returned to insignificance. On this map of 1868 the Boundary Brook is called the Moors Brook. It is shown but not named on the 1876 or 1898 maps of Headington, except for a small section to the west of Highfield Farm described as “Moor Ditch”: this part of the brook now runs under the gardens on the east side of Valentia Road. 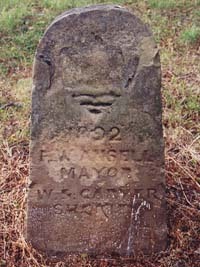 These stones were not set up until 1892, and there was a special beating of the bounds that year by the Mayor, Frederick Ansell. Just after the party crossed the London Road in Headington, when they were walking in single file in the area of the current Valentia Road area, they got mixed up with a wasps’ nest. Only one man was reported stung, though most of the others were “discomfited”. The brook marked the boundary of Oxford for only forty years, because in 1929 Headington, Cowley, and Iffley were taken into the city. Where does the Boundary Brook originate? 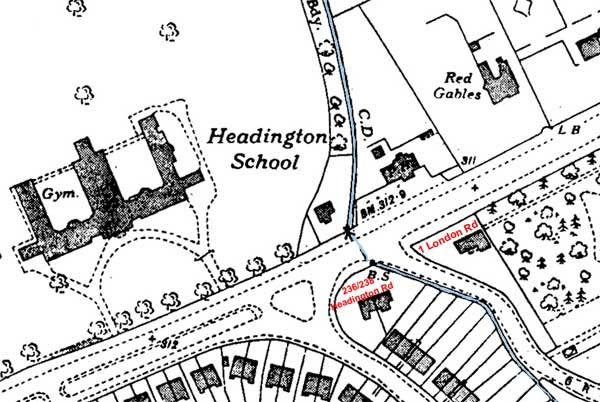 Old Headington census: "along the footpath leading from Oxford to Headington [Cuckoo Lane], around Mr Davenport’s Plantation [Headington School] to the Watercourse, following the said Watercourse southerly to the London Road near the White Horse Beerhouse. Jeffries’ 1769 map of Headington (above), drawn before the London Road was created, shows the brook starting south of Cuckoo Lane (then the main route to Old Headington) and running straight across Old Road. to the west of the present White Horse (marked “P.H.”). The Boundary Brook today runs underground in a southerly direction past the west side of the White Horse, cutting under part of Headley Way. The section of Headley Way between Woodlands Road and the Headington/London Road was not built until the 1950s, and prior to that the brook ran in the open here, with Headington School on one side and the pub the other, and steam engines would refill their water from it. The cottage in the eastern corner of the Headington School grounds was called Boundary Cottage. The brook crossed the main road underground at the point where the Headington and London Roads meet. The fact that from 1889 the Headington Road was in the city of Oxford but the London Road was in Headington explains why today what appears to be the same road changes names suddenly at this point. The brook used to re-emerge into daylight at the bridge on the south side by Nos. 236/238 Headington Road. It was several feet below street level at this point, and a fence was erected along part of Brookside as a safety measure. The brook then passes underground separating the back gardens on the east side of Valentia Road (part of the Gipsy Lane council estate) from the appropriately named Brookside (the road was named after Brookside House, now Headington Junior School) on its eastern bank. The brook used to run in the open behind Valentia Road until 1975, when the City Council culverted it all the way from the London Road to the Old Road. This part of the Boundary Brook was often referred to as the Moor Ditch. In the nineteenth century, this part of the brook marked the whole eastern boundary of Highfield Farm. It crosses underneath Old Road in the dip about half-way between Valentia Road and Highfield Avenue, just to the west of Finch Close, then after a very short bend to the east emerges at last into daylight and runs due south between the University of Oxford’s Old Road Campus and Mileway Gardens, passing under a bridge at Roosevelt Drive. This part is designated the Boundary Brook Wildlife Corridor, and has the Warneford Meadow on the west. It continues south along the west side of the Churchill Hospital, where at one point there is a separate small lake to the east of the stream. 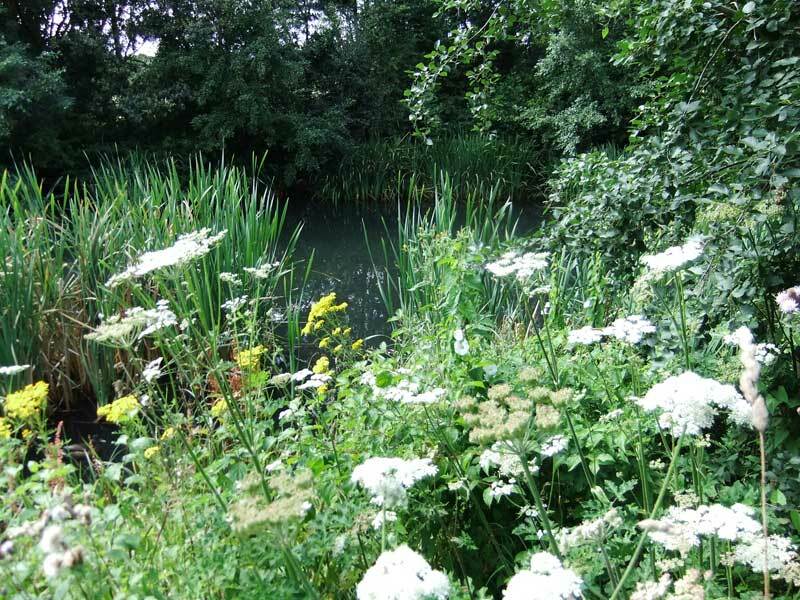 It then turns south-east and runs along the edge of the golf course and then down to meet the Lye Stream in the Lye Valley Nature Reserve. It then makes a sharp south-west turn into Cowley. It goes underground near Marsh Road, re-emerging in a concrete ditch on the south-west side of the Cowley Road. When Cowley Marsh was drained, the brook was diverted to a straight course running south-east along the north side of Florence Park. It passes under Rymer’s Lane, through the Boundary Brook Nature Park and then crosses the Iffley Road underground. 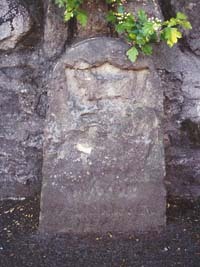 It then re-surfaces, and after passing under a bridge at Meadow Lane, reaches the River Thames to the south of Donnington Bridge.